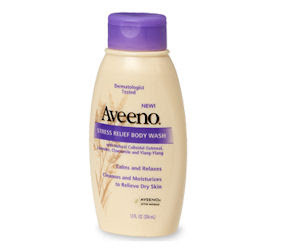 Thrifty and Frugal Living: Deal Expired- Free Full Sized Aveeno Stress Relief Lotion! Deal Expired- Free Full Sized Aveeno Stress Relief Lotion! Go here to fill out the form and get your free full sized bottle of Aveeno Stress Relief Lotion! Note: by filling out the information you agree to receive additional product information/future promotions from AVEENO®. The website also has heavy traffic right now. It took me 2 tries to get my information in. So, this may require a little patience. For a full size bottle, it is worth it! Thanks to Lydia for let me know this one expired already. Wow! That expired fast. Thanks for letting me know. Sorry you weren't able to get one.